The Redwoods has nearly 200km of mountain bike trails, and can offer something for everyone, regardless of fitness or riding ability. Start at Waipa car park for easy access to the beginners and family friendly trails, including a Kid’s Loop incorporating a number of the parks easiest tracks. 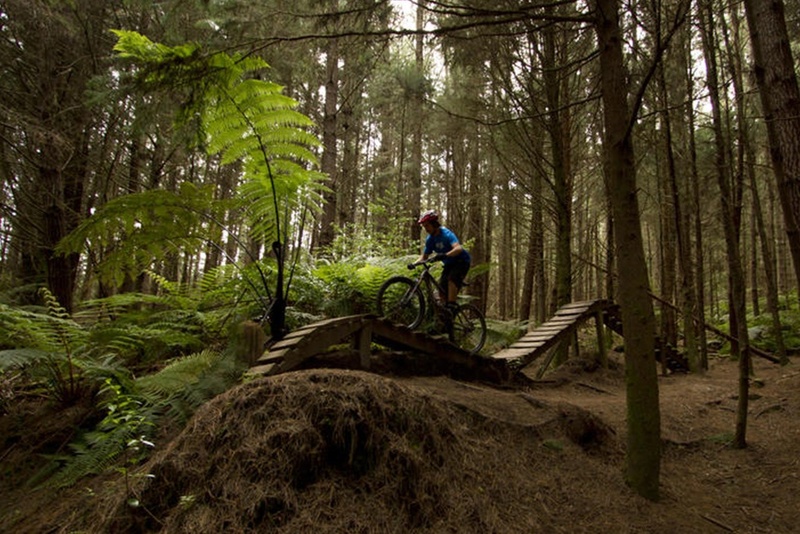 The central trail network provides heaps of variety for intermediate riders. 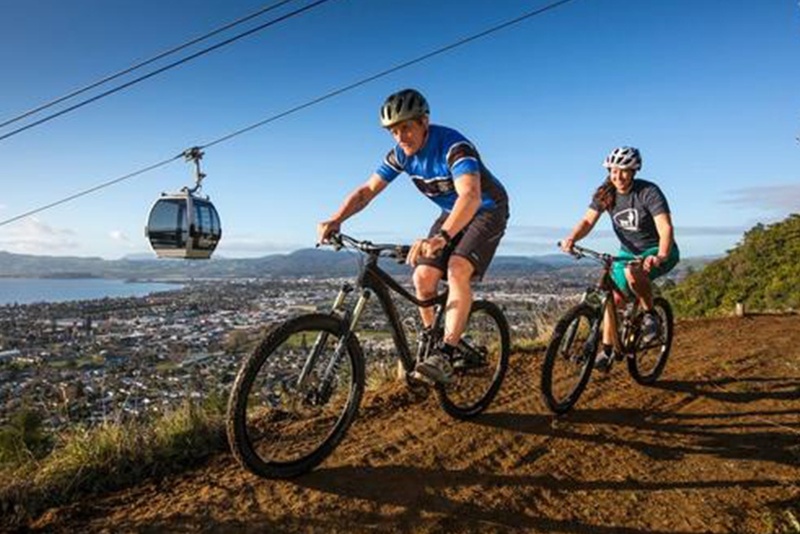 A climb up Katore Road offers rewarding views out over Rotorua city and the lake, and a selection of choice trails to bring you back down. Southstar shuttles provide an uplift service to the top of the Whakarewarewa forest, providing pedal-free access to trails from the cruisy grade 3 Corners Track up to the Taniwha National Downhill track and an ever increasing number of advanced and expert trails. For local advice, bike hire and guided tours, see our friends at Planet Bike or Mountain Bike Rotorua. 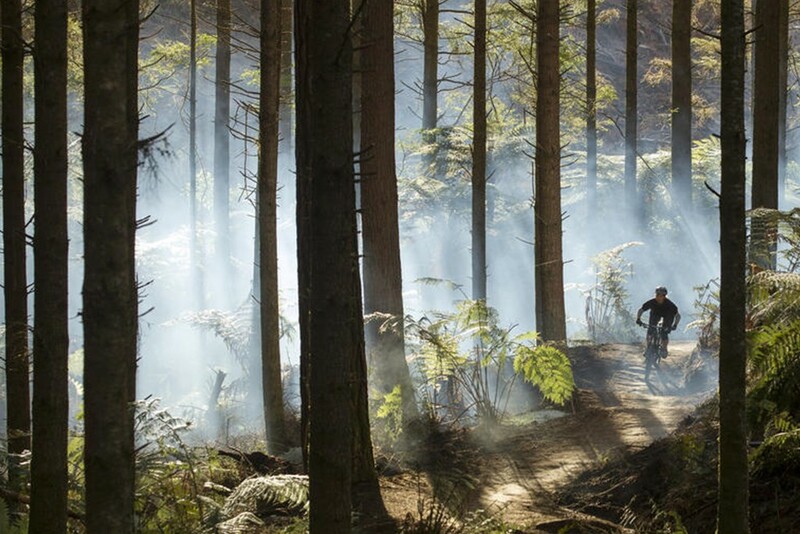 Photo: Riding through the very well known and most popular Redwood Forest - one of our favourite things to do in Rotorua. With world-class downhill mountain biking, no uphill riding, and a view to die for, Skyline Gravity Park is a must-do for experienced riders visiting the city. Take your bike in a specially adapted gondola up to the trail head and choose from the flowy berms of the intermediate hipster track or a number of advanced and expert trails peeling off the legendary Sprint Warrior. Huge table top jumps and wooden features at the bottom of the trails give you a chance to show off your skills to the spectators riding the gondola. In March the park is home to Crankworx, one of the world’s biggest Mountain Bike Festivals and a real crowd pleaser for locals and visitors from all around the world. For something a bit different, the Western Okataina walkway provides some great back-country riding for those with moderate fitness and some technical skill. Unlike the majority of trails in Rotorua, this trail is rugged and mostly unmaintained, so can be rutted out, overgrown and can stay boggy in places after rain. A challenging grade 3 ride with some solid climbs and a couple of un-ridable sections. You can ride it in either direction, but it's recommended to start at Miller Road end for a return ride to the trig, skipping the last 5km down to the education centre and a nasty climb back up! Miller Road is also perfectly placed for a post-ride dip in the stunning lake Okareka.